We weren’t forewarned that there are two Ibis hotels at the airport. This resulted in our friends being in one hotel and us being in the other. There was no provision to enable a swap. Most inconvenient. 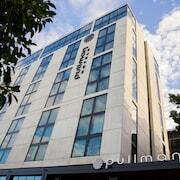 After a sensational place to stay in Sydney, the capital of New South Wales? Whether you're on a boxed wine or champagne budget, you'll find a hotel that suits in Mascot, 8 kilometres from the centre. If you're the type of traveller who loves ticking off bucket-list sights, Sydney will treat you right. A day out at Bondi Beach, Sydney Opera House and Sydney Harbour Bridge will give you some hefty bragging rights. If you want to fill in some time, appreciate the collections at George Hanna Memorial Museum. If you're after somewhere to stay close by, the Holiday Inn Sydney Airport and Stamford Plaza Sydney Airport are a few seriously sweet options. For a few kid-friendly activities, drop into Jet Flight Simulator Sydney. It's a great way to delight the ankle-biters! 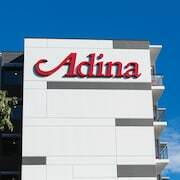 You can throw down your suitcase and get some shut-eye at the Adina Apartment Hotel Sydney Surry Hills and Ryals Serviced Apartments Camperdown if you prefer to stay near this attraction. The more you save on hotels, the more you'll have to spend on Mascot experiences! 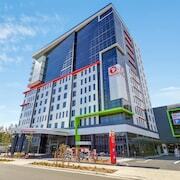 The ibis budget Sydney Airport is one of the only budget hotels here, so there's no time to waste. What are getaways for if not splurging? 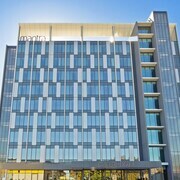 The Rydges Sydney Airport Hotel and Quest Mascot Serviced Apartments are lastminute.com.au's top picks for those who aren't scared of throwing down a little extra dosh. Why not grab your mates and discuss the first night of your holiday over a coffee at Azucar Café? 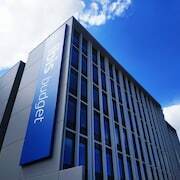 It's not far away, and there's plenty of delicious cakes to keep you on track. Trust us, you're gonna need some decent grub after all that sightseeing. Luckily, Movida has a mouthwatering menu which will really put a lining on your tum! Now you've warmed up, we're guessing you wouldn't say no to a few bevvies at Tap House. It's a fab place to debrief after a day of adventures. 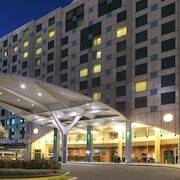 Why not think about booking a room in Sydney Airport or Wolli Creek when organising your trip? 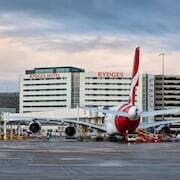 Sydney Airport is 1 kilometre from Mascot, and Wolli Creek is approximately 3 kilometres away. So, have a quick glance at the Mascot forecast, pack a few of your favourite outfits and get your skates on! You're a few clicks away from wild nights and jaw-dropping experiences!